Has your smile started to appear lackluster? Are you noticing discoloration or stains that weren’t there before? This is actually very common and it happens due to the foods and beverages you consume, lifestyle choices you make, and even the medications you take can affect the color and brightness of your smile. The good news is that teeth whitening in Fort Worth can be an effective and affordable solution to improve your smile and Dr. David Tillman can help. Your dentist in Fort Worth offers two convenient options for teeth whitening that will achieve the results you want for your smile. Depending on your needs and lifestyle, choose from an in-office treatment that will deliver immediate results, or a take-home system that allows you to update your smile whenever you like. We start by placing a protective barrier around your gums and soft tissues. This prevents any injuries from occurring due to excess whitening gel escaping. Next, we’ll apply a high strength whitening gel and give it time to set. We finish with a fluoride treatment designed to reduce any sensitivity the whitening gel may cause. Most patients report that their in-office treatment results in teeth that are anywhere from six to ten shades lighter than before. This option is ideal for patients with hectic schedules who need quick results, or who may have a big event such as a wedding or vacation coming up. Patients who opt for a take-home whitening system will receive custom made plastic whitening trays created using impressions we take of your teeth. We will supply you with high strength gel and show you how to safely apply it to your trays. 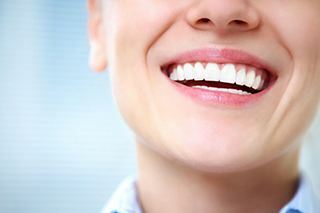 Most patients achieve their desired results by whitening every day for a period of one to two weeks. Then you can purchase additional whitening gel from our office whenever you need to update your smile in the future. 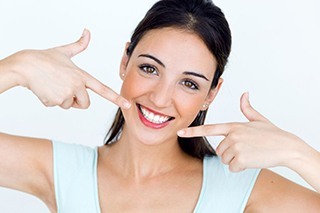 While there are a lot of whitening systems available for purchase at your local grocery or drug store, professional whitening treatment with your cosmetic dentist in Fort Worth offers numerous benefits that over the counter products can’t give you. Tillman uses a higher strength whitening gel than you will find at the store. This achieves the results you want faster. Whitening with custom trays is much safer than choosing a one-size-fits-all product that may not achieve the results you want. Whitening your teeth under the supervision of your dentist ensures that you have help with any concerns you may have with sensitivity. If you’d like to learn more about teeth whitening and your treatment options we encourage you to contact our office today for more information.